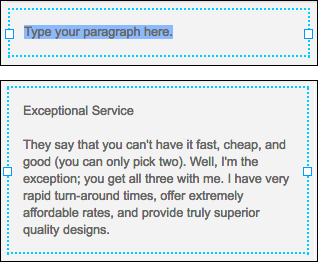 If you own Website Builder v7 but haven't yet migrated your v6 site's content, here's how to move over the text. Remember: The v6 content will not be accessible after you publish the new site. Note: Depending on your site's size, this manual process can take a while. You may want to check out Options to migrate my website. In a separate browser window, log in to your GoDaddy account. In your Products list click Website Builder, and then click Manage next to your new account (not your v6 account). 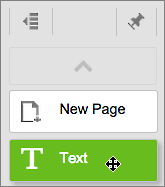 Switch to your v6 site's tab/window, select the text on a page, and use Cntrl/Command+C to copy it. Switch back to the tab/window displaying your new Website Builder site, select the text box's placeholder text, and use Cntrl/Command+V to replace it with the text copied from your v6 site. Repeat these steps on each page of your v6 site until you've copied all the text to your new site. Note: Besides moving text, you'll also need to re-upload your v6 site's images to your new site. See Add image and Adding image slideshows and photo galleries. Unlike Website Builder v6, Website Builder's current version doesn't preserve your content when you switch themes. See Change themes. 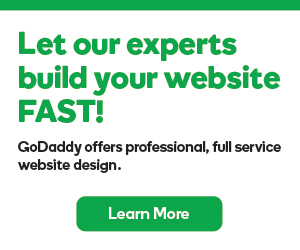 If you don't want to manually transfer your Website, consider GoDaddy's Facelift service.